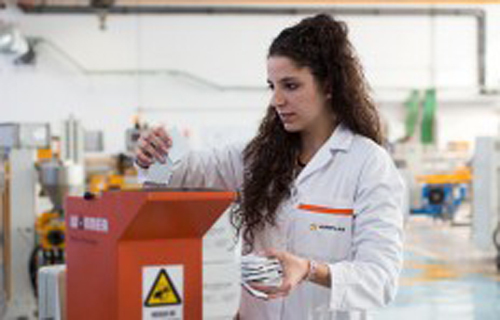 AIMPLAS, the plastics technology center based in Valencia, Spain, is in collaboration with the company Barpimo to develop new alkyd and polyester resins from post-consumed polyethylene terephthalate (PET) packaging for building & construction. The aim of the two parties is to develop a new process that allow economical transforming of PET packaging waste into high value added products at an industrial level, at a competitive cost and with a low environmental impact. The project RESIPET is co-funded by the Ministry of Economy and Competitiveness and the FEDER funds within the National Programme for Research aimed at the Challenges of Society.